Is there any possible way to take a good picture of meatloaf? I mean, even on a good day, it still just looks like a brick of smushed food matter. Pictures notwithstanding, this dish is actually really delicious. Using white meat to make meatloaf is a tricky proposition (even trickier than taking its picture) because these leaner meats tend to easily dry out if you miss the critical temperature target and cook them too long. Most traditional meatloaves (I totally typed meatloafs first) maintain their delectable texture by using bread crumbs, an unfortunate situation for the paleo folk. 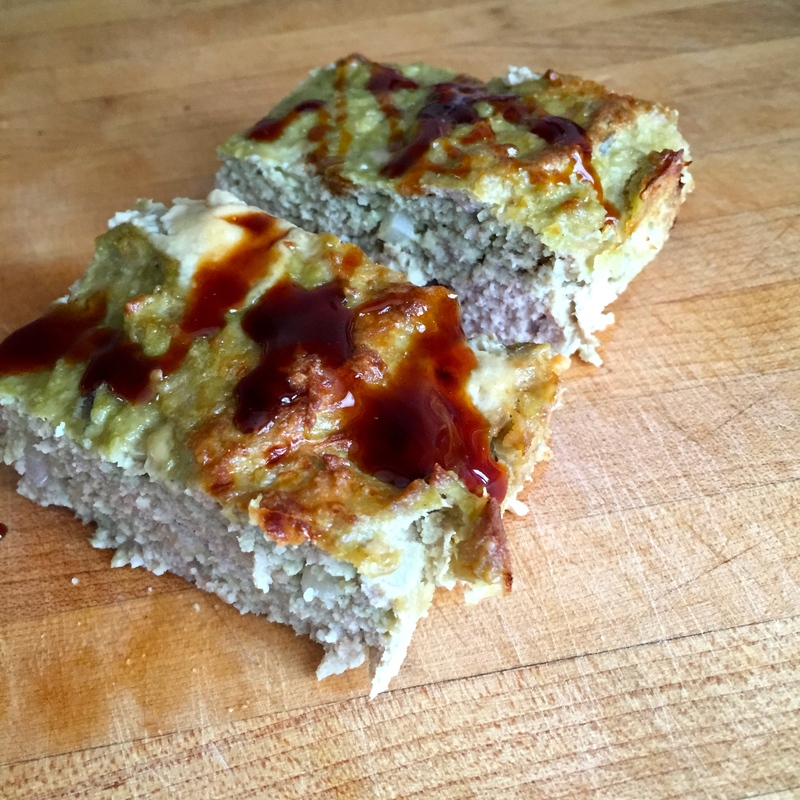 Try this method, and I’m sure you’ll be a convert in no time!The almond meal and egg help to hold in moisture as well as bind the meatloaf so it doesn’t crumble under pressure or more importantly, during serving. Preheat oven to 350 and grease a medium glass baking dish. In a large bowl combine chicken, almond meal, eggs. onion, spices, and basil cream. Press evenly into glass dish and bake until center temperature reaches 155-160. (cooking times will vary depending on the size of the glass dish). Let cool slightly before serving and drizzle with glaze.